Home/Uncategorized/Hoopla? Overdrive? Libby? What’s the difference? As a busy working mom, most of the books I read these days are ebooks or eAudiobooks from the library. They are available wherever I go as long as I have my phone, and I don’t have to worry about returning them to the library. Plus, they’re free! If you’ve ever looked into getting ebooks or eAudiobooks from our library, you may have been a little confused by what we offer. You may have seen the names “Hoopla,” “Overdrive,” and “Libby” and wondered, “What’s the difference?” Here’s a handy guide, in plain English, to help you out. Hoopla has a selection of content – ebooks, eAudiobooks, movies, TV episodes, and music – that the library subscribes to. The content is changing all the time. (It’s sort of like Netflix or Hulu in that way, but with digital books, too.) We at the Floyd County Library can’t decide what content is available on Hoopla. If something is currently on Hoopla, it is always available immediately to anyone who wants it – all of Floyd County could download the same ebook at once! You do need to be a Floyd County resident to use Hoopla (not a reciprocal borrower – but your home library may have Hoopla too! ), and through our library you get 8 downloads from Hoopla per month. The amount of time you get to keep your download depends on what it is. Hoopla’s website can be accessed from your desktop or laptop, or you can download the Hoopla app onto your phone, tablet, smart TV, or whatever else you have that can download apps. Click here to find out how to get started. Through Overdrive, the Floyd County Library selects ebooks and eAudiobooks to add to our digital collection. If you ever have a request, just let us know! You can decide how long to check out your ebook or eAudiobook – up to 28 days. If we have an item on Overdrive, you might have to wait or put a hold on it if someone else checks it out (depending on how many copies we have), kind of like a regular paper book. We have reciprocal borrowing agreements with Jeffersonville Township Public Library and Charlestown-Clark County Public Library, so if your home library is any of these, you can get ebooks and eAudiobooks through Overdrive from all three. 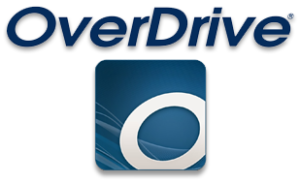 You can use Overdrive on a desktop or laptop, or you can download the Overdrive app on a phone or tablet (including the Kindle Fire). Click here to find out how to get started. 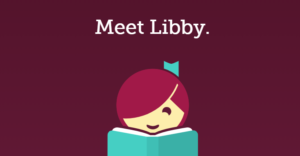 Libby is Overdrive’s new app. A lot of people find it smoother and easier to use – including me! All the information about Overdrive applies to Libby, too, except that the Libby app is not currently supported by Kindle Fire tablets. On any other app-capable device, if you like Overdrive, definitely give Libby a try!